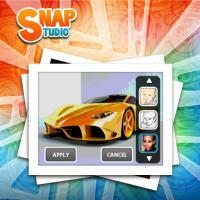 Snap studio Advanced Symbian App of the year Award winner is back with fully unlocked image manipulation combo. Capture the snaps edit & share with utter ease on Facebook. Its has image curation tools to brighten & sharpen the captured image.